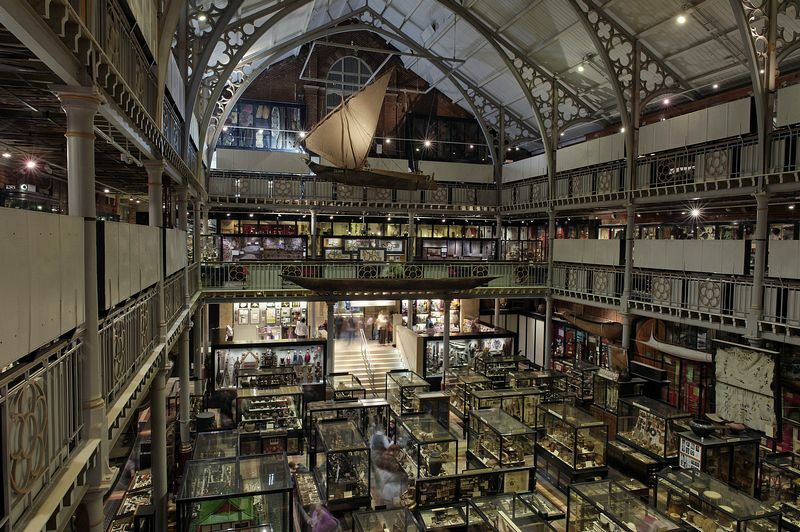 The Pitt Rivers Museum is the University of Oxford's museum of anthropology and world archaeology. 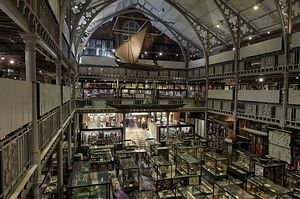 Founded in 1884 following a gift to the University from General Pitt Rivers it retains its unique period atmosphere with dense displays of artefacts, many in the original wooden display cabinets. As a result, it has often been described as a 'Museum of Museums'. Access to the Pitt Rivers Museum is through the Natural History Museum, Parks Road Oxford OX1 3PW.